Aico, one of the market leaders in domestic Fire and Carbon Monoxide (CO) detection products, will be exhibiting at Electrical Design and Install Expo (ED&I) this September on 6 -7 at the NEC, Birmingham. The exhibition is working with the ECA to bring together Electrical Contractors from across the country and to promote best practice throughout the industry. Sign up for free right here. Aico’s impressive double decker stand will feature interactive panels and live demos of its innovative products and technologies. These include the Ei2110e Multi-Sensor Fire Alarm, the Ei160e Smoke series, award winning AudioLINK data extraction technology and RadioLINK+ wireless interconnection with alarm monitoring and remote extraction functions, along with a host of alarm system accessories. 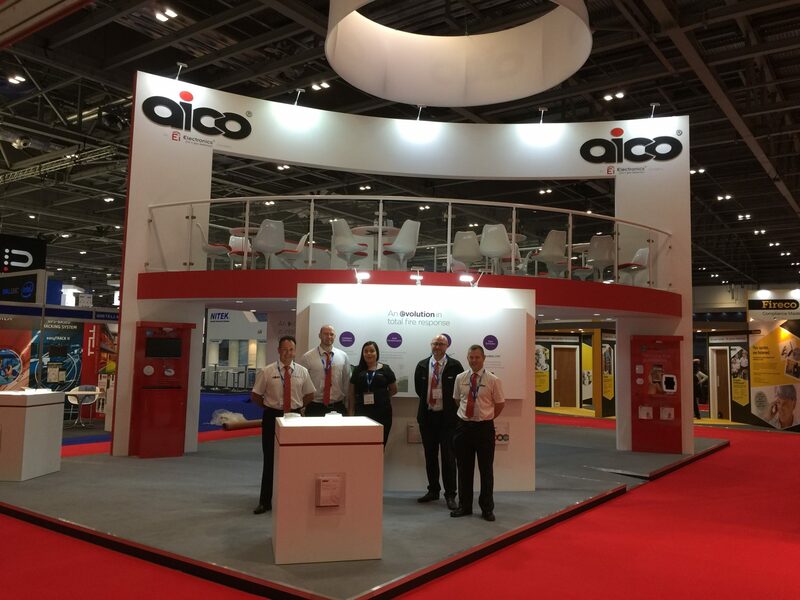 In addition, one of Aico’s new fully fitted Mobile Training & Demonstration Units will be at the show, which features similar product panels and enables Aico to deliver detailed product and alarm technology information, plus its CPD accredited Expert Installer training, right to customers’ doors. Contractors visiting the exhibition will get the opportunity to take part in taster training sessions throughout the event and have the chance to sign up for further training. Aico’s highly trained and experienced staff will be on hand at the show to not only discuss products, but to also provide invaluable advice on alarm specification, installation best practice and latest regulations. For contractors who want to stay ahead of the latest technological developments, Aico will be presenting a seminar at the show: A Gateway to Safer Connected Homes. Presented by Andrew Speake, Aico’s IT manager, the seminar looks at the technological advances that are transforming the way domestic life saving devices are used, from cloud based monitoring systems to intelligent multi-sensor alarm features. The seminar runs from 14:15 – 14:45 on the Wednesday.